Designed to accommodate most 26 47 TVs up to 66lbs, this flat panel wall mount elevates your screen to the optimal viewing angle. The one inch gap the T-101-MTM leaves lets your TV hug the wall, blending discretely into any dicor. The universal design of this mount covers most VESA mounting patterns up to 400x400. The open frame design avoids having to work around a wall plate during mounting process. For a polished look pair this wall mount with your favourite CorLiving TV or component stand. Designed to accommodate most 17 37 TVs up to 55lbs, this flat panel wall mount elevates your screen to the optimal viewing angle, while providing a 180 swivel left to right and tilt of -15/+15 up and down. The mount also extends up to 11 inches and retracts to a discrete 2 inches from the wall. For a polished look pair this wall mount with your favourite CorLiving TV or component stand. Designed to accommodate most 23" 42" TVs up to 55lbs, this flat panel wall mount elevates your screen to the optimal viewing angle, while providing a 180 swivel left to right and tilt of -15/+15 up and down, and sits just 2.5 inches from the wall. For a polished look pair this wall mount with your favourite CorLiving TV or component stand. 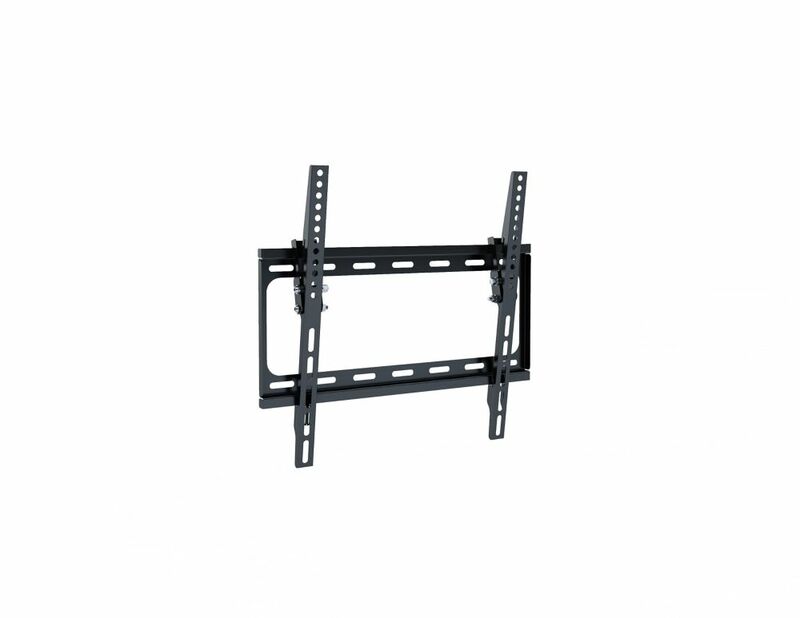 T-101-MTM Tilting Flat Panel Wall Mount for 26" - 47" TVs Designed to accommodate most 26 47 TVs up to 66lbs, this flat panel wall mount elevates your screen to the optimal viewing angle. The one inch gap the T-101-MTM leaves lets your TV hug the wall, blending discretely into any dicor. The universal design of this mount covers most VESA mounting patterns up to 400x400. The open frame design avoids having to work around a wall plate during mounting process. For a polished look pair this wall mount with your favourite CorLiving TV or component stand.